Medically injected glue is an innovative treatment option for Varicose Veins available at Endovascular WA. 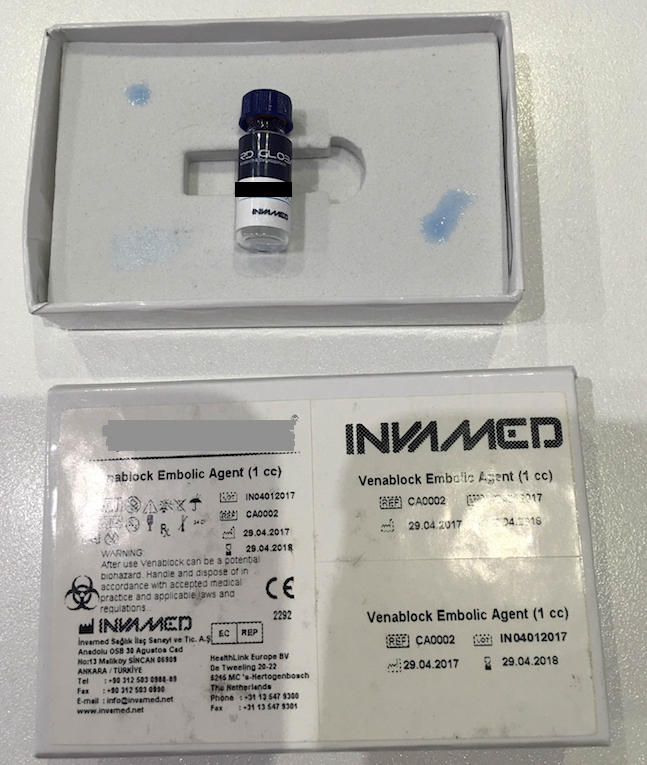 Medical grade glue is used to glue shut and seal the main defective vein, preventing the pooling of blood that results in varicose veins. Once the vein has been glued shut, it will undergo a process of hardening and will be gradually absorbed by the body. The procedure is very safe, minimally invasive and patients remain awake with simply a local anaesthetic used. Unlike other treatments, the procedure does not require a Regional Nerve Block or large volumes of Anaesthesia. There are no pre-procedures drugs involved and patients can return to their normal activities right after the treatment. There is a reduction in the duration of post procedure compression stockings.